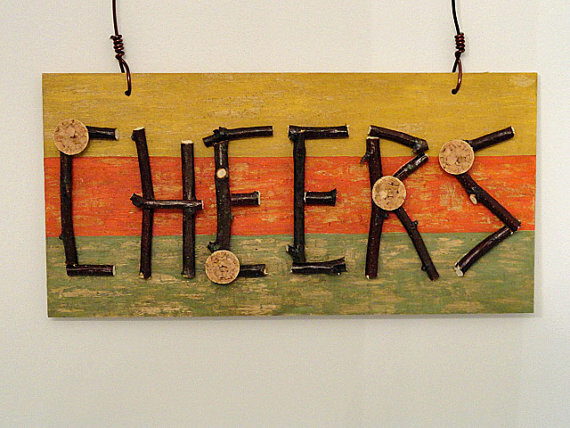 Greet your guests with a cheery welcome with this sign that you can make using birch branches, wine corks and a little bit of paint in fun colors. 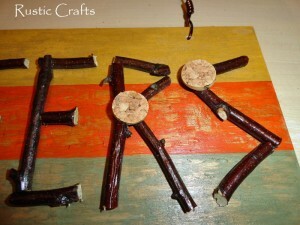 This craft would also be fun to make and hang for a special party. The word “cheers” conjures up happy thoughts and colorful images to me so I wanted to make sure and use plenty of color for this craft. However, since I was still going for a rustic style, I wanted to give it a distressed and somewhat dirty look. I will show you just how I did that with a couple of easy techniques. 1. 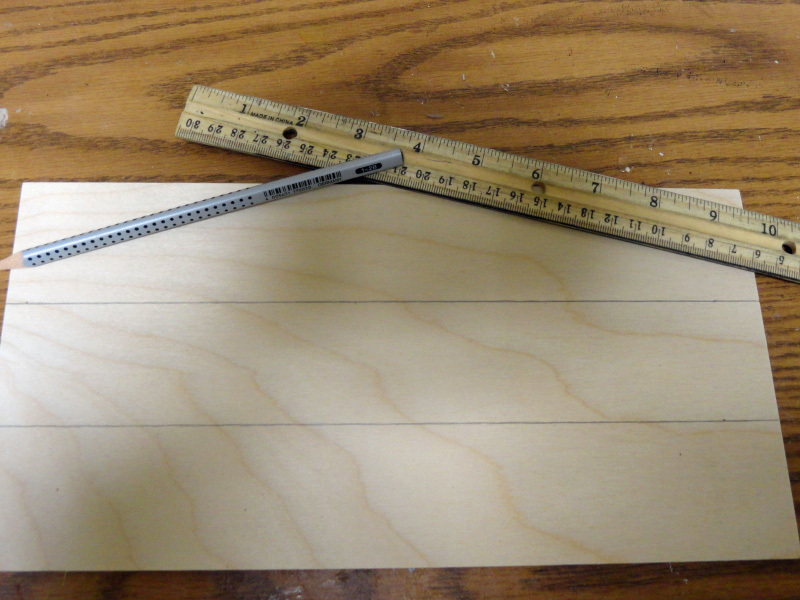 With your pencil and ruler drawer two lines across your board dividing the board into three equal parts. 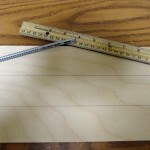 Each section will be about two inches wide. 2. Paint the entire front of the board with your base color of paint. 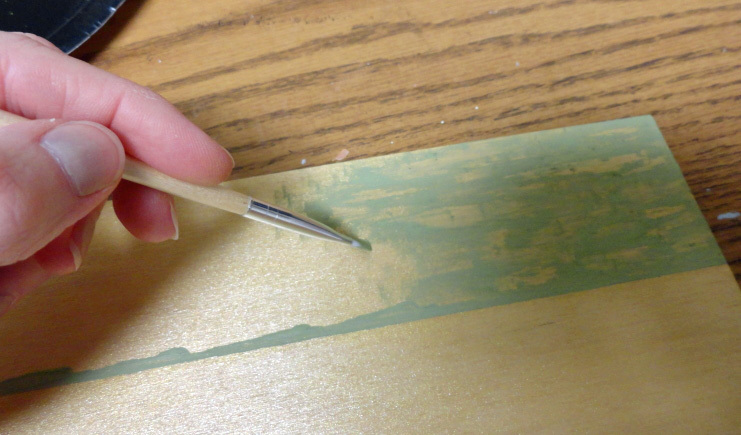 This is the color that will show through when the top layers of paint crackle and peel. I used “pure gold” for this layer. Your pencil marks should still show through. 3. 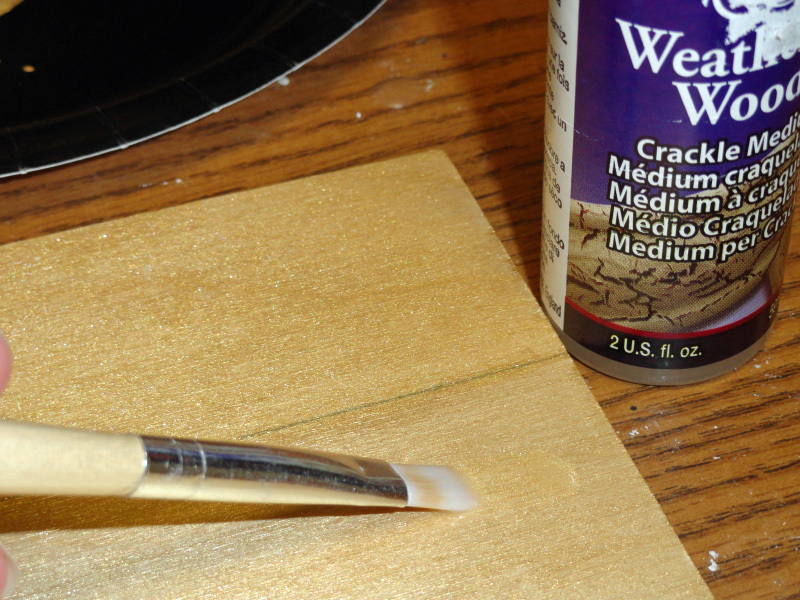 Once your paint is dry, you can apply a layer of “Weathered Wood” directly over the paint. Now let this dry. 4. 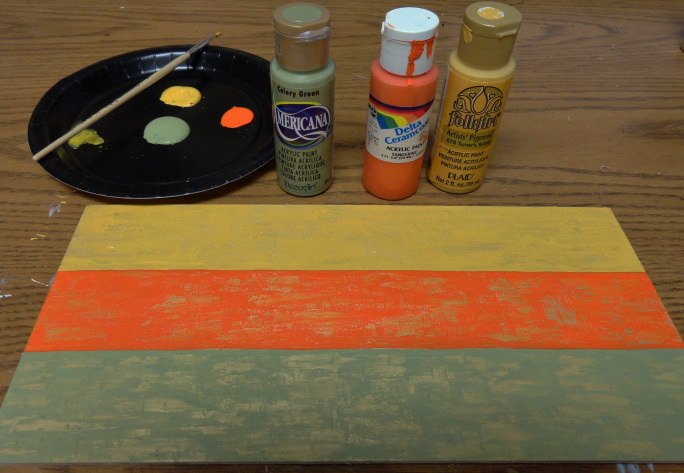 Apply your first color of paint to the first third of the board. 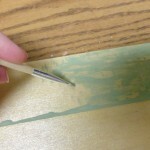 As you start brushing on the paint, you will notice that the paint starts to peel away in spots. This is what you want. 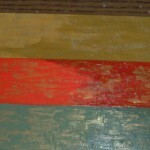 The Weathered Wood medium gives that second layer a nicely distressed look. 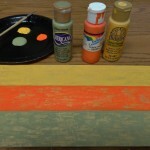 Clean your brush and add your next color of paint and finish with your third choice. 5. After all of the paint was dry, I wanted to dirty it up a little bit. To make the paint look even more distressed, I went over the whole thing with walnut stain. 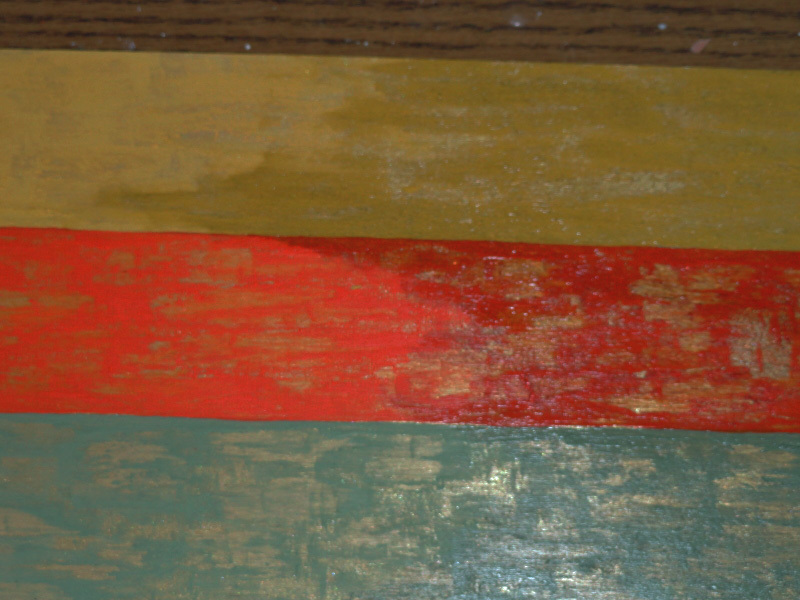 The second picture shows stain on most of the yellow and a little on the orange and a very little on the green. The colors didn’t show up so great in these pictures but hopefully you get the idea. 6. 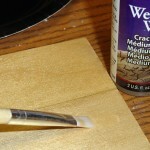 I applied gloss varnish over the top when the stain was dry to protect the finish. 7. 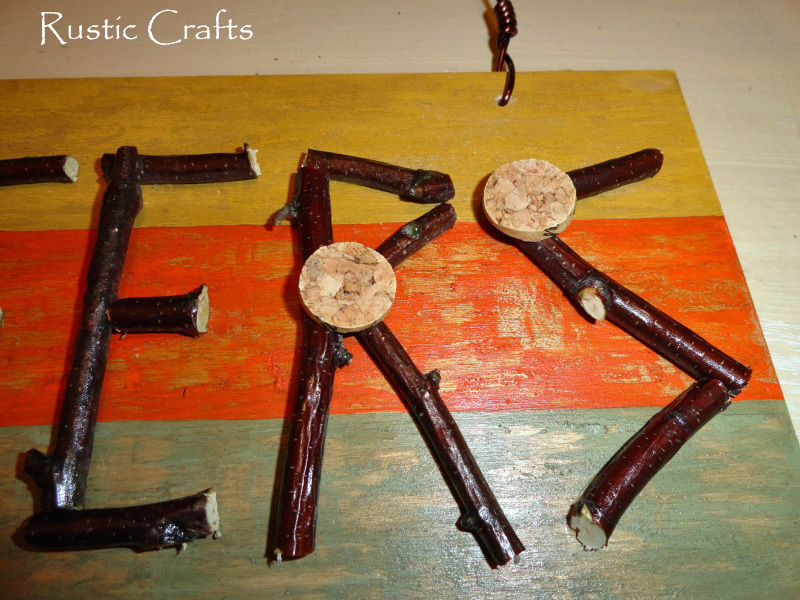 Using a pruning shears, I cut up some thin birch branches to form my letters and glued them in place with tacky glue. 8. I used a sharp knife to slice a wine cork into thin slices to use as an embellishment. For a “Cheers” sign, I figured I should have some “bubbly” and thought it appropriate to use a wine cork to make little bubble embellishments. I glued these in random spots on my letters with tacky glue. 9. Finally, I drilled two holes at the top of my sign to insert a section of floral wire through for hanging. 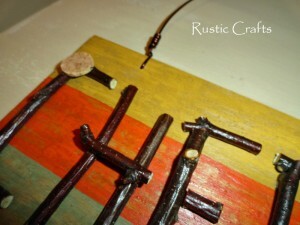 I simply twisted each end around itself a few times to secure the wire in place. I'm addicted to crafting and decorating my downtown urban loft and up north rustic cabin. Read more about me. Don't miss out on any creative inspiration! Get the latest decorating ideas and DIY projects straight to your inbox. Just enter your email address to subscribe.